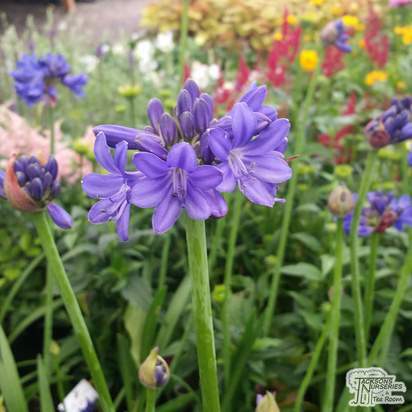 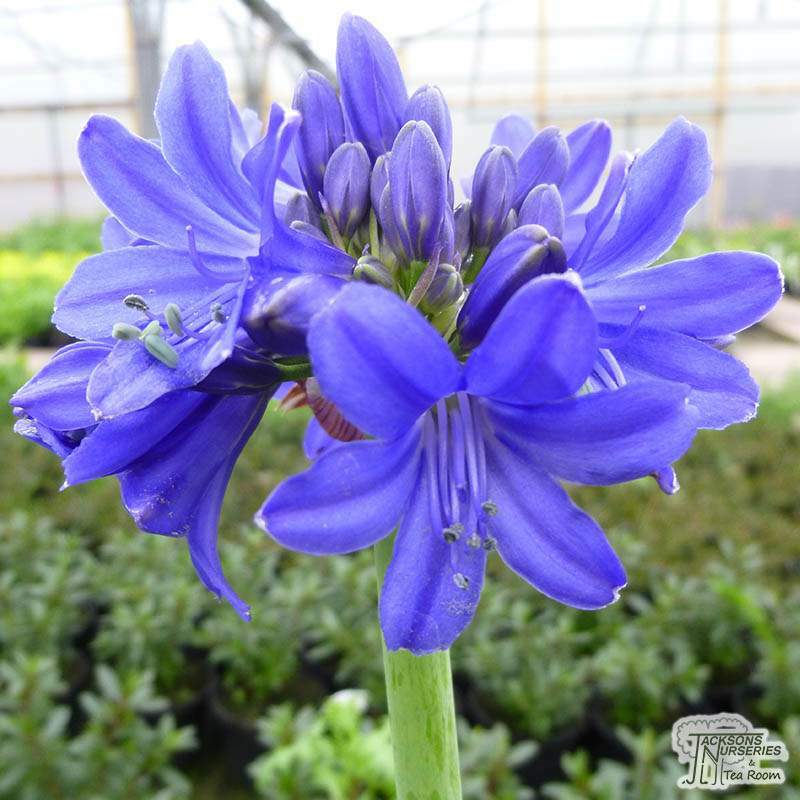 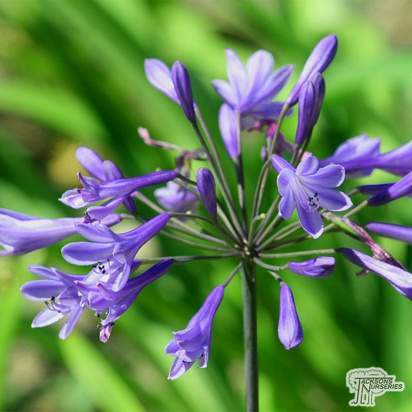 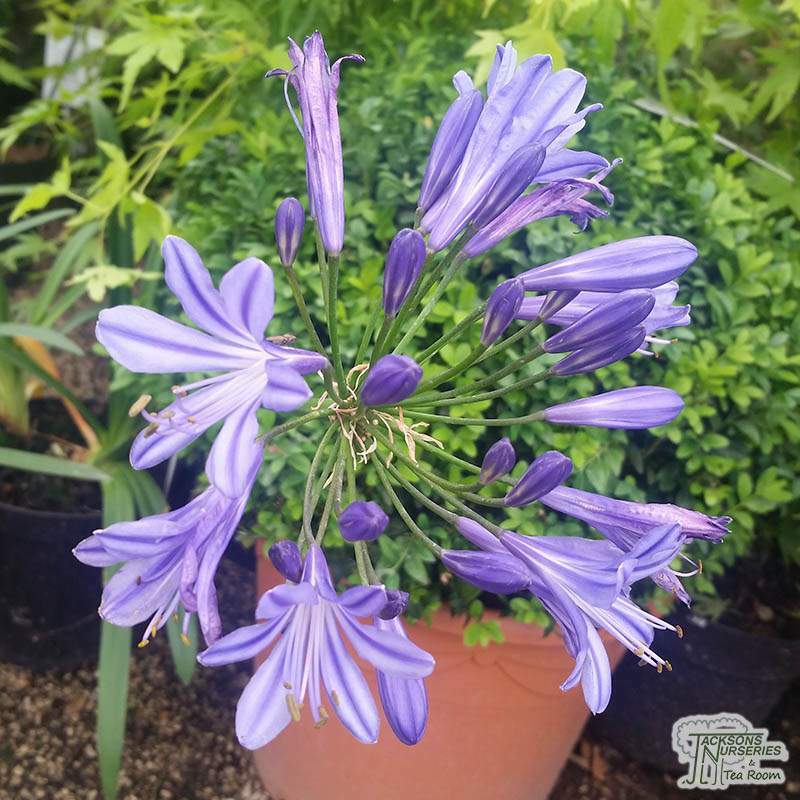 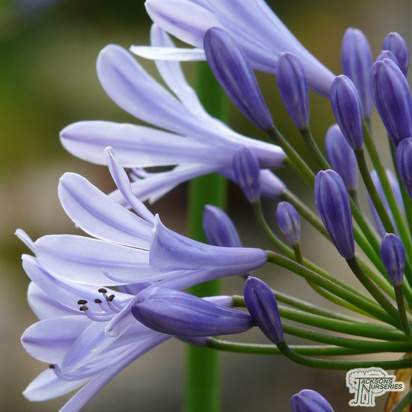 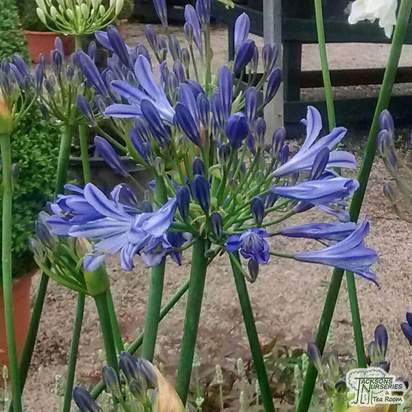 Agapanthus 'Sofie' is a new deciduous Agapanthus variety with stunning deep blue flowers on a compact head that bloom from mid to late summer. 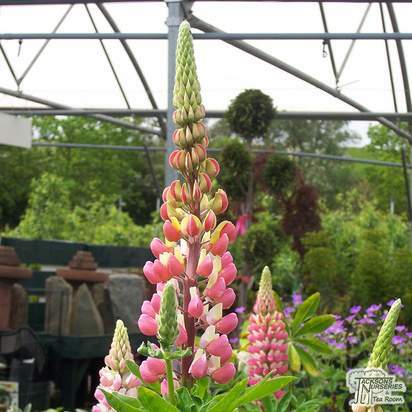 Mature plants can have as many as 50 flower stems. 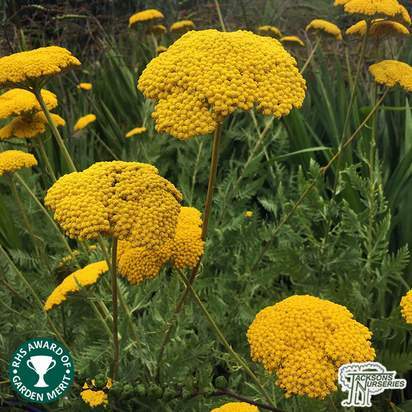 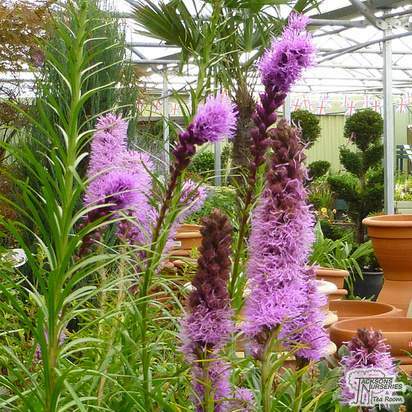 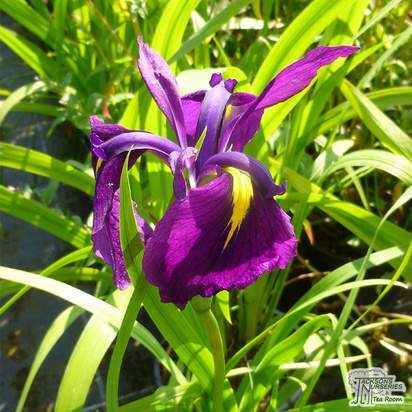 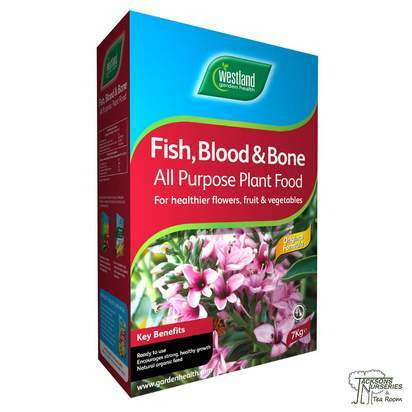 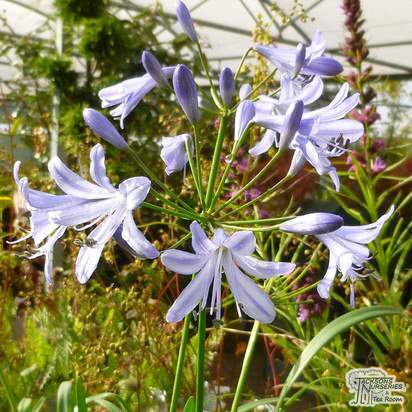 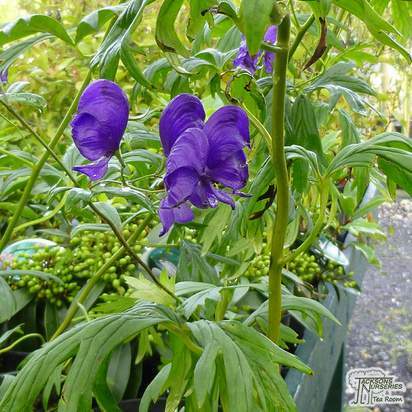 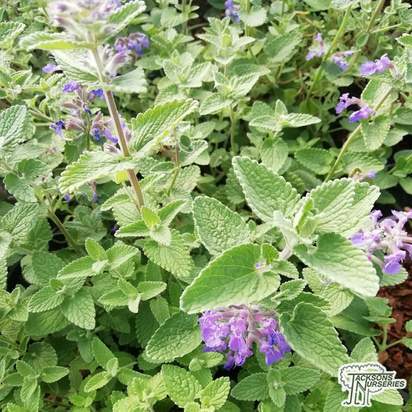 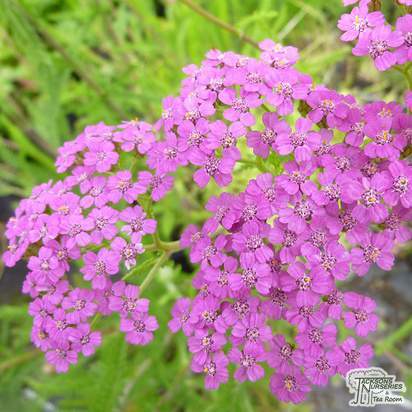 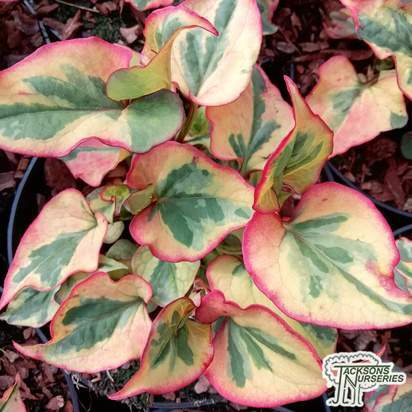 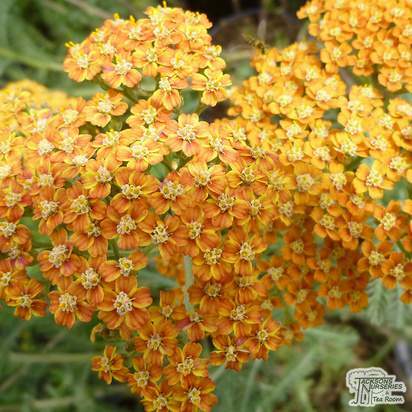 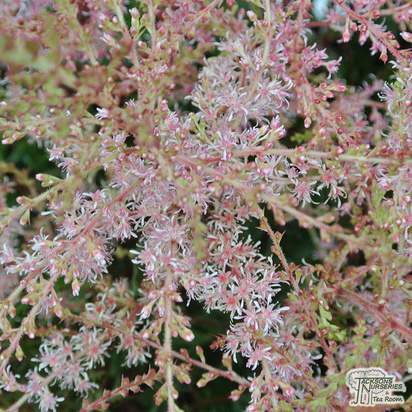 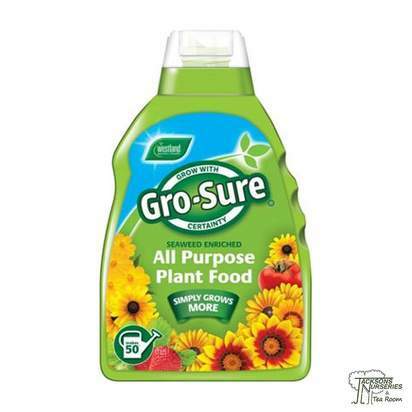 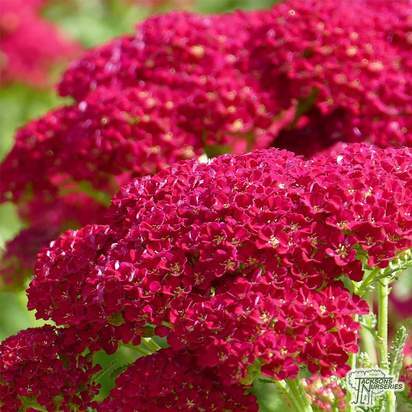 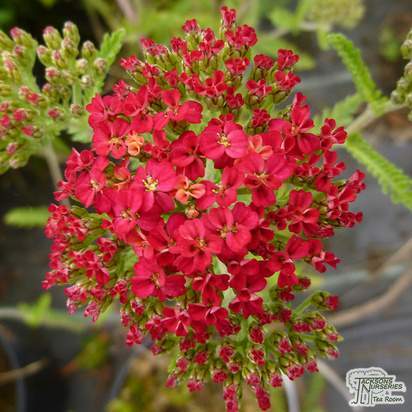 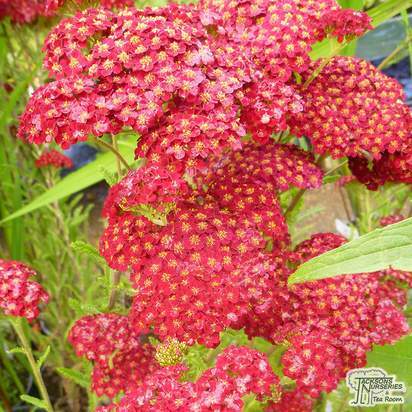 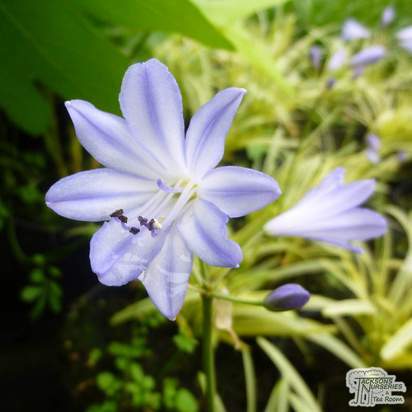 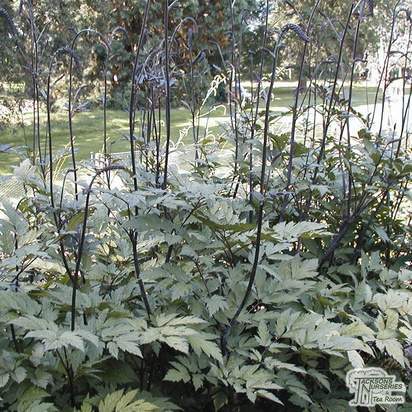 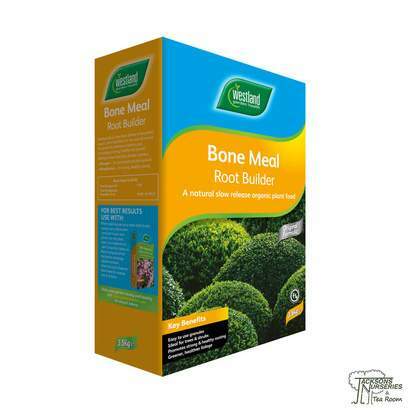 Plant in large groups for a striking display that is also attractive to bees and butterflies. 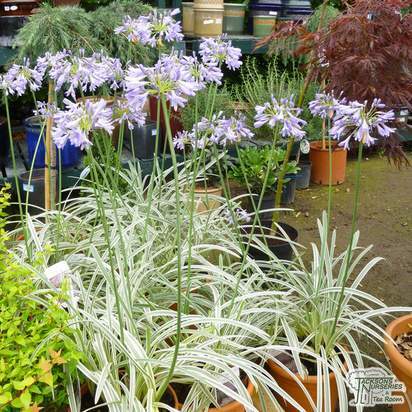 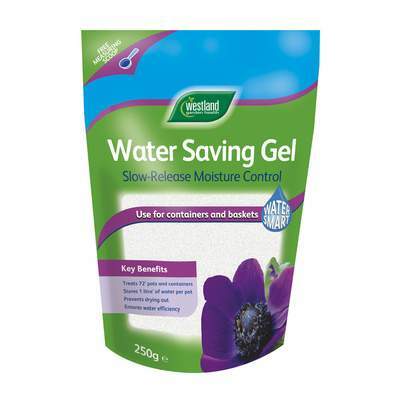 Protect during winter with a good layer of mulch, if planted in a container keep it in a dry frost-free location.